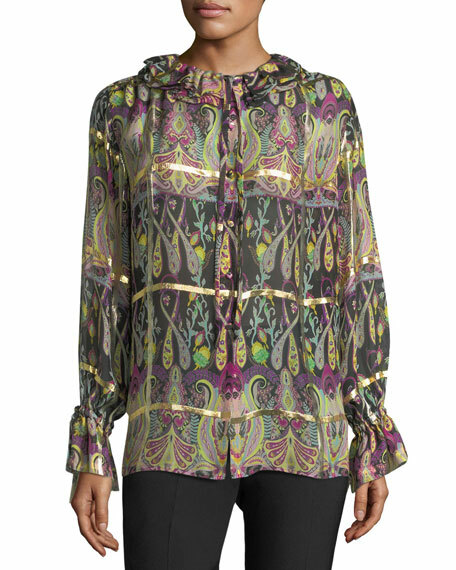 Etro paisley-print paneled blouse with metallic gold trim. Crew neckline with tiered ruffle trim. 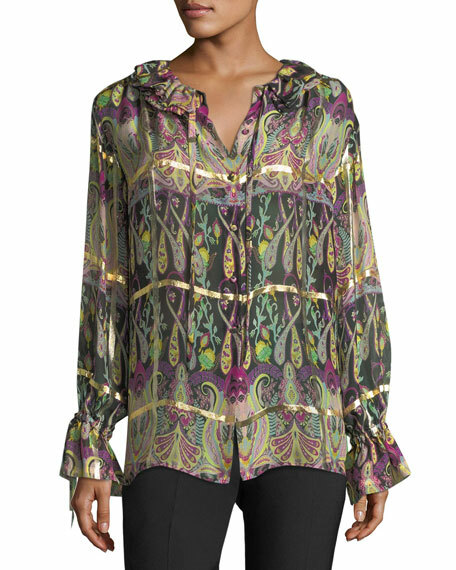 Full button front with self-tie bow option at top. 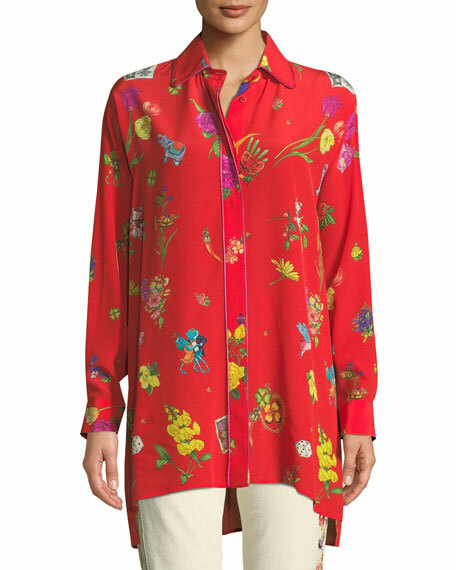 Long sleeves; elasticized ruffle cuffs. 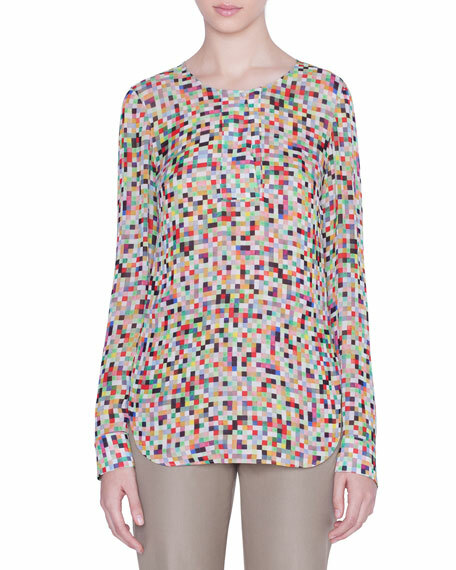 For in-store inquiries, use sku #2384647. 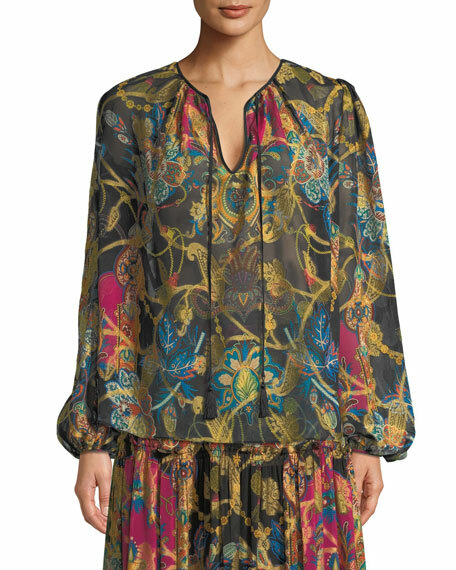 Etro paisley-print silk peasant blouse. Approx. 22"L from shoulder to hem. Split neckline with tassel ties. 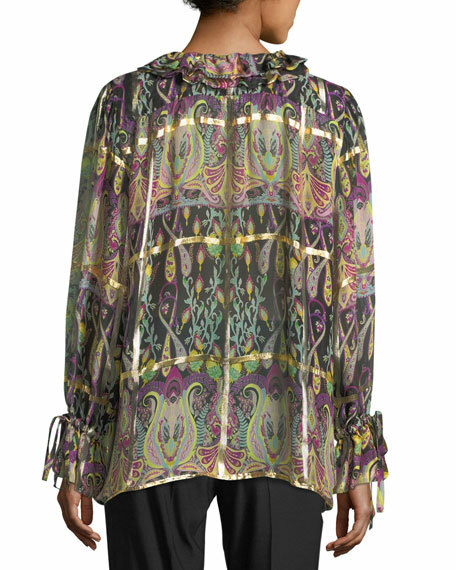 Long, blouson sleeves. Relaxed silhouette. Slipover style. Silk/acetate. Dry clean. Made in Italy.